WACO Africa is a specialist access systems provider that supplies suspended access, hydraulic lifts, access scaffolding systems, equipment, powered suspended platforms, aluminium towers and mobile elevating work platforms. This company has been supplying the construction, mining, building and maintenance industries. ABB Zambia has five divisions that include power products and systems, discrete automation and motion, low voltage products and process automation. Each division is focused on particular industries and product categories. ABB balances economic, environmental and social objectives and incorporates them into their decisions. With over two decades of experience, Eltech Investments is proud to be the leading contractor in the on-going Rural Electrification Programme. The company also works with partners in the area of green energy, and its research on solar power has already enabled it to provide both industrial and domestic solutions. 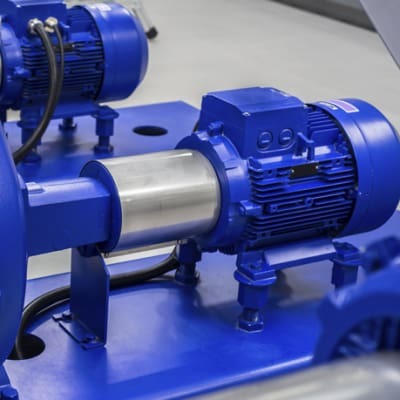 United Chemolide uses Siemens motors and switch gears for the quality water and fluid management systems and KSB pumps they provide. They also offer this power engineering equipment for sale. Siemens' Totally Integrated Automation (TIA) provides a unique range of products and systems to optimise industrial processes.